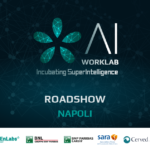 LUISS ENLABS | AI WorkLab: here is why BNL Gruppo BNP Paribas & BNP Paribas Cardif are on board! 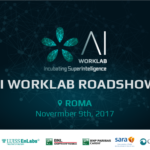 Are you thinking to apply for AI WorkLab? The call to participate in the program is open until November 30th to individual talents, teams and startups! 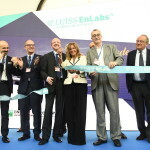 Selected participants will have the opportunity to receive €2,500 grant (equity free) and access to a three-month program starting in January at LUISS ENLABS! And this is not all… participating in a program like AI WorkLab is a great chance to be part of an innovation trend which will revolutionize every aspect of our daily life. To better understand the opportunities and challenges for companies in the era of AI, we had a chat with Michele Cicoli, Chief Data Officer BNL BNP Paribas Group, and Andrea Veltri, Chief Marketing Officer & Strategy BNP Paribas Cardif, who explained the reasons for BNL Gruppo BNP Paribas & BNP Paribas Cardif to support the incubation program AI WorkLab and their interest toward artificial intelligence. “BNL Gruppo BNP Paribas has always wanted to be on the front line where change happens. The fastest and most impacted change in the business world is undoubtedly represented by Artificial Intelligence and the universe of startups" – said Michele Cicoli. "BNP Paribas Cardif is convinced that the ability and curiosity to "look out" is the winning approach to innovating tomorrow's insurance. For several years, we have been using the open innovation model to speed up the process of contamination and business innovation. AI WorkLab's sponsorship is part of this development.” – added Andrea Veltri. According to Cicoli "The Artificial Intelligence industry has proven to have a concrete value in the most diverse areas, from art to medicine, from economics to domotics. Possible applications of AI and its rapid evolution make it possible to think of very interesting future potential and represent one of the most important technological topics in recent years" Along these lines, it is easy to see why artificial intelligence is a particularly interesting sector for both companies nowadays. Getting more specific, Veltri, pointed out some of the topical issues that make Artificial Intelligence central to go beyond the limits of the traditional insurance business: it allows to "create an extended and guided relationship with an ever-evolving customer, develop data-driven experiential paths, manage risk components and customer behavior through related items". As he explains, chatbots, virtual assistants, intelligent adaptive solutions able to understand and guide the customer will be part of the 2020 insurance model. The banking sector can also be significantly disrupted with AI, according to Cicoli: “Artificial Intelligence could revolutionize the traditional concept of "Bank", allowing an evolution of data management and usage methodologies, as well as optimizing and streamlining management processes. It could also be very useful to understand and meet customer needs innovatively." 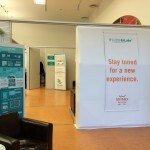 Both companies have great expectations for AI WorkLab “In particular, the participation of different partners from different industries and LUISS ENLABS's ability to intercept potentially valuable startups make this initiative strategically relevant." 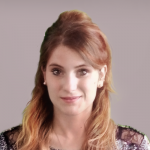 said Veltri, agreeing with Cicoli that the two companies expect to extend their knowledge of the startup world and identify interesting projects or ideas of innovative service models that they could develop together. “We are confident that we can meet many innovative realities and young talents out of the box, something new and never seen before. We want to be able to support new entrepreneurial realities, who would otherwise hardly have the opportunity to deal with market players” they both concluded.